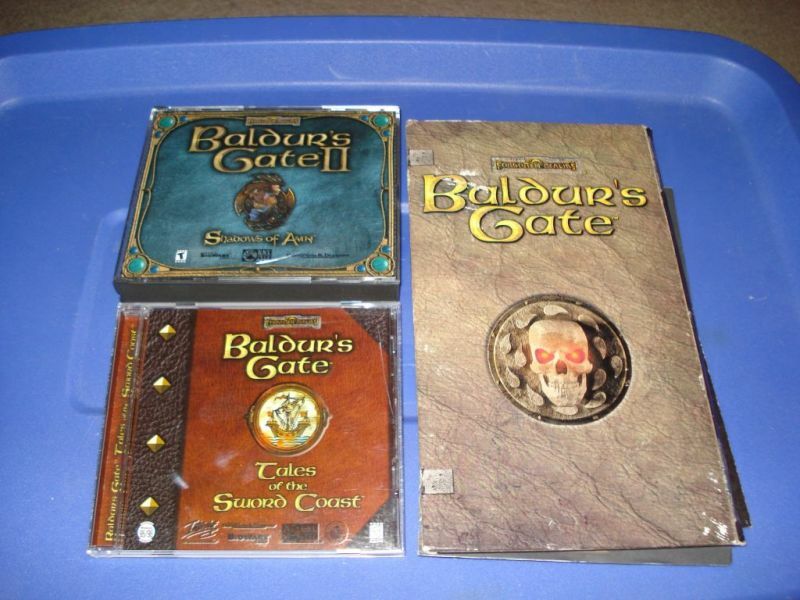 Baldur’s Gate, Baldur’s Gate : Tales of the Sword Coast, Baldur’s Gate II, all for a massive $10. Boxes trashed all to heck and back, so not pictured, but discs in reasonable shape. No manuals for Tales of the Sword Coast or Baldur’s Gate II, but I did get the Quick Reference Card – and map! – for BG2 and found a PDF version of the manual at Sorcerer’s Place, so I think I’m pretty much set.